Nick Vaidya is a Culture & Strategy Advisor, Speaker & CEO Coach. He is the coauthor (with John Mattone) of Cultural Transformations (Wiley) and has over 20 years of corporate and entrepreneurial experience in big data analytics. It would be a philosophic discussion to talk about truth as a concept. Some, who may be of the relativistic persuasion will say truth is relative and not absolute. Others following the positivists will say just the opposite. However, what people will find hard to disagree with is that whatever will last longer is more of a truth than that which is shorter lived. A metal knife is more of a knife than a plastic knife, or for example, a statue would be considered less stable or true than the clay it was made from. In that sense, the statue is an illusion while the clay is the relative reality or the truth. Clay can be moulded into any form and it is in that sense the underlying principle. Clay is the genesis of many forms. In business, if we look at any contemporary narrative, we will find a variety of such illusions or theories enjoying their turn under the collective corporate spotlight as the magic pill of the moment, year or decade. Typically they are presented to the world in a compelling package that connects and spreads like wildfire - like a giant wave gobbling up everything within its reach and then dying out as quickly giving way to the next big one. 'Core Competence' was the corporate mantra a decade back, not so anymore, or the now questionable framework from 'In Search Of Excellence'. These narratives keep shifting while we search for the truth that can ensure success in business. Yet, just like clay in its natural form is more enduring than the statue it was moulded into, we see that culture as the key to business success is the truth that has endured over the numerous other theories of business success. All other situations, circumstances, and frameworks for success can change over time or fail to fully explain business success but since time immemorial, astute observers and thinkers have repeatedly come back to the conclusion that the culture of a group is at the core of its success. The best groups of every kind have essentially been talked about in terms of their cultures. The Romans, the Spartans, the Marines or the companies covered in Jim C. Collins’ widely read and respected book 'Good to Great' have all been known for their culture and values. Google, while in limelight for many reasons today is also recognised for its culture as the wellspring of its success. Category-leading organisations almost always stand out for their culture - companies like Zappos, Netflix, and Southwest Airlines whose mission, for example, is happy employees. Unfortunately, we do not give culture enough attention and end up chasing half-truths, getting pulled by the trending narrative of the time. As if, somehow the prevailing concept will offer a shorter cut to success, easier to copy and implement. Culture is the genesis of all other phenomena. 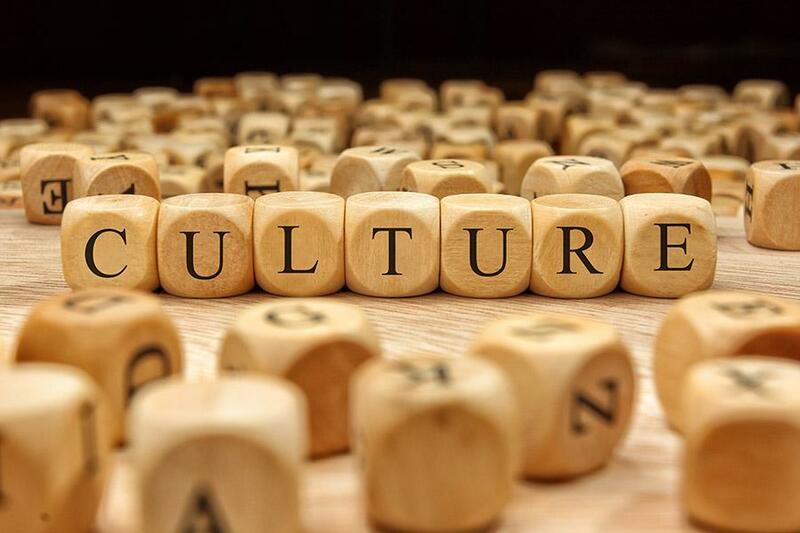 Culture is the clay that appears in the form of all other successful business concepts. By the way, effective culture does not mean that the organisation has to be employee-centric or friendly, or even the best place to work. In fact, an organisation could have a culture that’s brutal to its employees. Such was the case with NASA when it was in the in its Apollo phase. It was on a mission and it succeeded by driving innovation or performance. So why is culture antecedent to all other theories of success? After all, there are concepts like strategy, innovation, people, and processes, not to mention theories like core competence, positioning, or segmentation. The answer is that culture is the crucible for all of the above. It is the DNA of an organisation - its foundational building block. Any defect in the DNA cannot be overcome by superficial treatment. When the building block is weak, then no matter what reinforcements are applied externally, the structure will be weak as well. Just like electricity that makes a machine into a refrigerator and also a room hot from a room heater, culture can make a company successful. Following a low-cost strategy as in Southwest Airlines as well as another company equally successful following high margin strategy as was adopted by Concord with British Airways to revive the dying business. Strategy, simply put, are a set of theories in a series of actions. Yet, a strategy can be put down on paper, but not culture. An expert can give you a splendid strategy but nobody can present to you a successful culture. Competitors tried to copy Dell's strategy of “built to order” but failed because their culture did not support the concept. The Marines are different from the regular army because of their culture and not because they have better strategy or weapons. Any strategy intended to boost a business's success, no matter how well thought out and powerful, won’t work if it does not arise from within the culture of that organisation. Strategy or innovation when acquired from outside usually fails to get assimilated as its adoption is dependent upon the culture. Just like the human body rejects a foreign part, the organisation will reject a foreign strategy or innovation that is not aligned with its culture. Mergers and acquisitions (M&As) have often resulted in failure from cultural integration issues, such as in the Daimler-Chrysler merger. Often outsider CEOs fail to change the culture if they do not recognise the existing culture, like it happened when Ron Johnson tried to force Apple’s thinking on J.C. Penney, alienating its customers and demoralising its staff. If one tried to copy the Google model of 20 percent personal time off to promote innovation it most likely will not result in much good at the Postal Services. One idea that might seem contradictory is that of the brand. It would seem that branding can be independent of culture because it seemingly is far removed and external to the organisation. Indeed it takes time to create or destroy a brand and it would seem that marketing and not the company creates a brand. Yet upon closer scrutiny, the ultimate driving machine (BMW) would not have come into existence without engineering and marketing aligning themselves into one cohesive unit. So, by definition, the company culture will have to play a critical role. Cultures in banking, advertising, and technology startup are going to be different because they are trying to create products services or brands that are requiring those cultures. So nothing is independent of the culture. Yes, I leave you with many more questions than answers with this post but changing the mindset to focus on culture building first rather than chasing a quick fix shortcut to growth and stability with strategic initiatives of any kind is absolutely imperative. With the rapid changes in a world, where 85 percent of the jobs of the future as in "2030" have not yet been invented, a company culture will acquire an even greater importance in shaping strategies and outcomes. We already live in VUCA world standing for Volatility, Uncertainty, Complexity, and Ambiguity. What will we need to thrive in it will need to address those problems with super strong teams, and those teams will need to have super strong cultures. The author is a Culture & Strategy Advisor, Speaker & CEO Coach.